Follow the Stars to Find Love, Success, And Happiness! Do you know how the time of your birth affects your destiny? Have you chosen a career in tune with your ruling planet? Should you date that cute Virgo at the gym—or hold out for the Libra next door? The ancient art of astrology can tell you all this—and more! 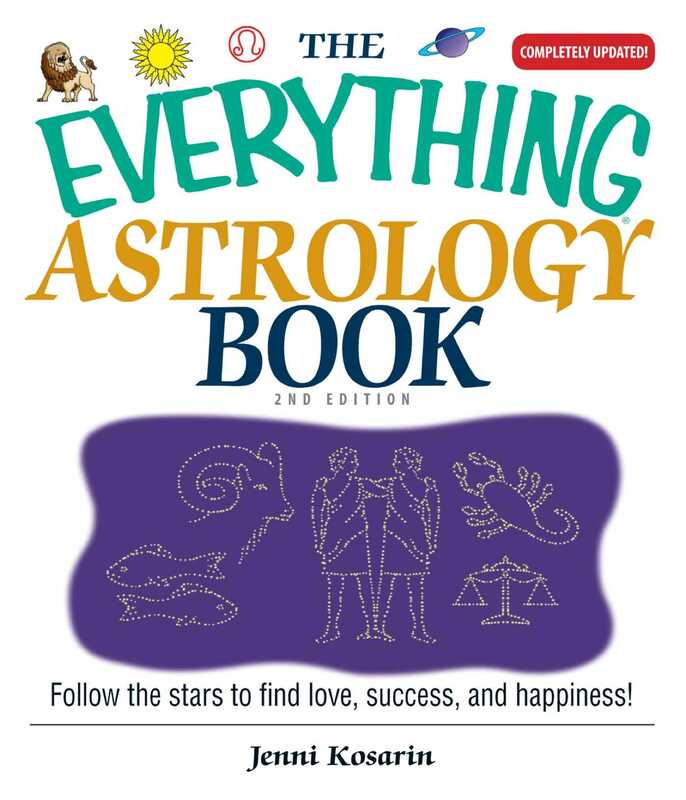 The Everything Astrology Book, 2nd Edition, is your key to unlocking the secrets of your past, present, and future. Completely revised and updated, this all-inclusive handbook reveals every critical aspect of this illuminating practice, from its earliest forms to its relevance to the modern world we live in today—including how you can apply astrology to your everyday life! You will quickly discover the mysterious origins of astrology, breakdowns of the Elements, true meanings of your birth signs and symbols, how the planets and their movements impact your life, which signs you are romantically compatible with, how to construct your own birth chart, and more! With acclaimed astrologer and psychic Jenni Kosarin as your guide, you can harness your own destiny—and uncover revelations about yourself that you may never have known before! Jenni Kosarin is an internationally celebrated self-help, dating, and love astrology expert. She has written about astrology for television and for magazines including Seventeen, Cosmopolitan, and Glamour.